The weather here in the Colorado Springs area can change very quickly and dramatically. In fact, you'll often hear residents comment that you can see all four seasons...in one day! 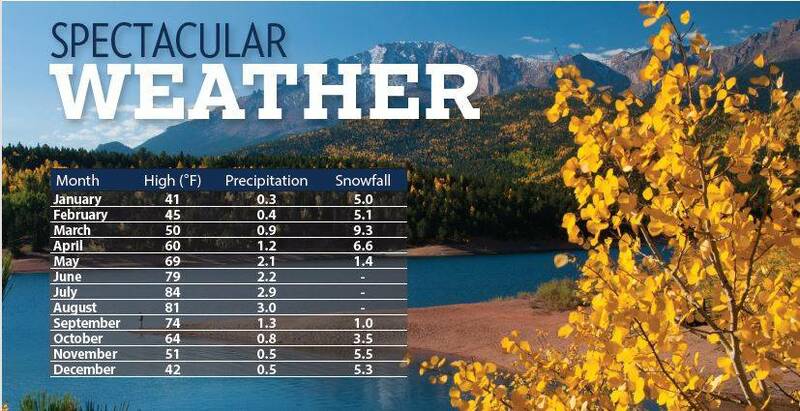 But with an average of 300+ sunny days a year you will love living near the Front Range of the Rocky Mountains. Just click on the link and see what to expect the weather to be over the next 10 days.